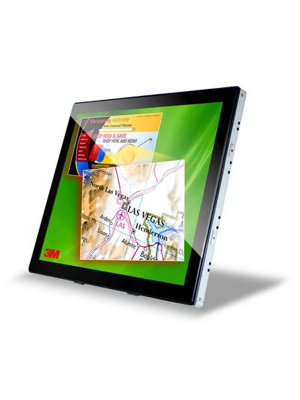 LL-S201A 20” interactive touchscreen is a highly responsive touchscreen monitor that introduces a new era of interactive functionality at the workplace. Equipped with full HD resolution and UV2A technology, the LL-S201A represents a major advance in terms of the picture quality and energy efficiency of LCD panels. The LL-S201A is capable of recognizing 10 touch points simultaneously expanding the touch interface beyond writing to include gaming, typing via an onscreen keyboard, playing virtual musical instruments, and more. Therefore, it can be safely stated that LL-S201A is not just a workplace solution, it can also be used for entertainment, further expanding its uses. The capacitive touchscreen and Sharp Pen Software embedded in LL-S201A allows smooth onscreen writing as it instantly recognizes the writing due to its sensitivity. However, within LL-S201A, is also incorporated the palm cancellation function. This allows the user to rest their palm while writing without making any unnecessary touch commands. LL-S201A’s compatibility with Microsoft Office ink functionality allows the user to write over Excel and Word documents and also save the data. A touch of the onscreen rotate icon rotates the screen content 180 degrees, giving power to the user of rotating data according to their convenience. With a slim bezel, full flat screen, lightweight design and premium image quality, the LL-S201A is the answer to contemporary business needs that not only takes care of work but entertainment as well. The Sharp LL-S201A is a state of the art Interactive Touchscreen Display which is equipped with several features that ensure user’s convenience without compromising on the functionality of the product. 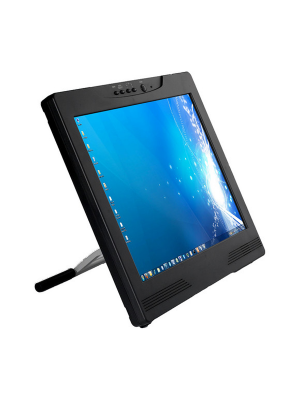 This 20” Interactive Touchscreen is fully compatible with different versions the Windows Operating System. It comes installed with all the necessary drivers and software packs, so the users can start using this innovative solution right out of the box. Ultimate Experience with Sharp LL-S201A! Due to a number of advanced specifications, the Sharp LL – S201A Interactive Touchscreen Display is suitable for various environments. The users can even use this touchscreen for entertainment as well due to its incredible display and vibrant colors. For any organization looking to boost its productivity, the Sharp LL – S201A is a must have! Q. What are the Power Requirements of this Interactive Display? A. The Sharp LL–S201A Interactive Touchscreen works on 100 – 240V AC supply. Q. 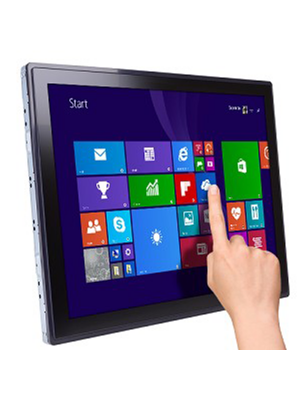 Which Operating Systems are compatible with Sharp LL–S201A Touchscreen? A. 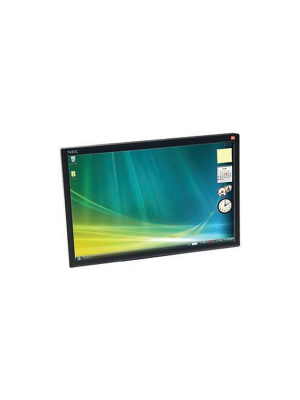 This touchscreen is compatible with different versions of Windows Operating System. Q. Which technology is being used in this Touchscreen Display? A. The Sharp LL–S201A touchscreen is backed by UV2A LCD display which gives great visual results. Q. Does this Sharp Interactive Touchscreen come with a built – in speaker and camera? A. The Sharp Interactive Display features a set of built – in speakers but not a camera. Q. 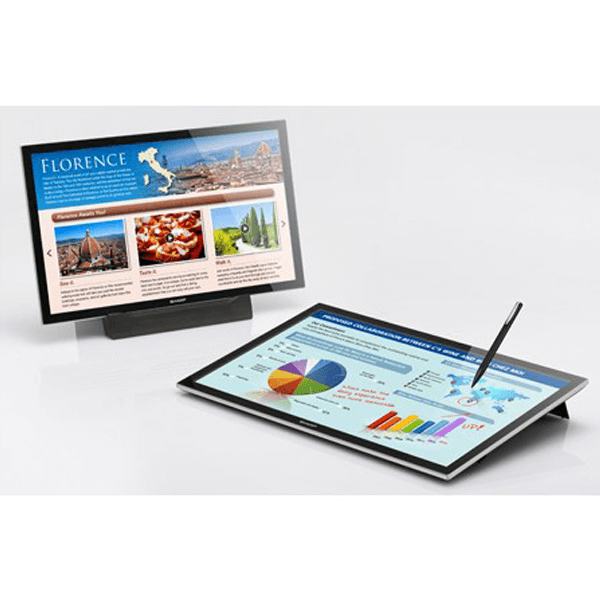 Is Sharp LL–S201A Interactive Touchscreen Display protected by any warranty program? A. 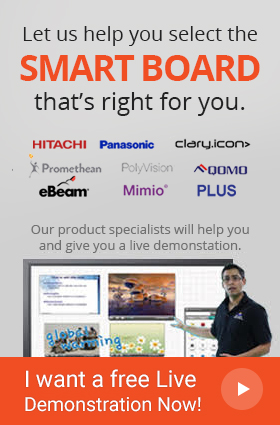 Yes, the Interactive Display is backed by a 3 – year warranty from the manufacturers.